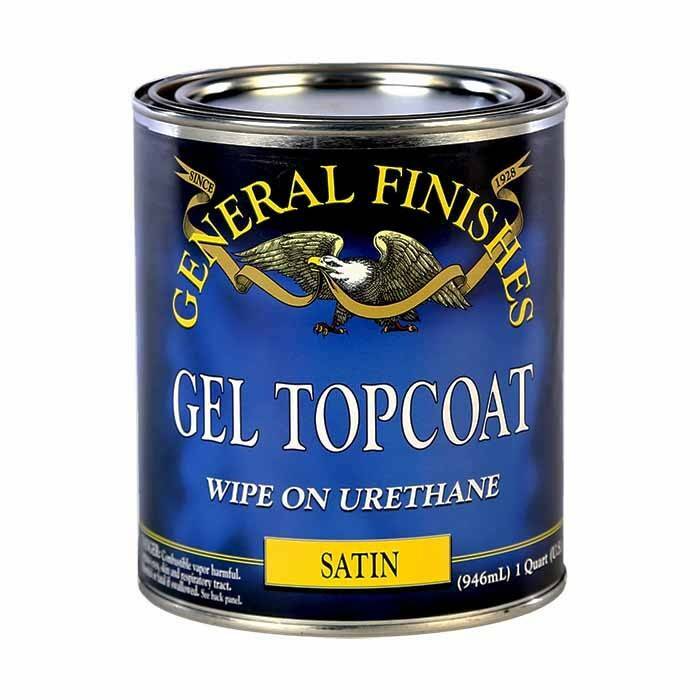 Gel Satin Topcoat has been a long-time favorite finish of woodworkers, with a heavy-duty oil-and-urethane base that produces a beautiful, hand-rubbed look. 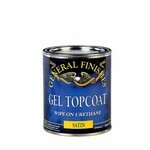 Gel Satin Topcoat has a thick consistency, so there are no drips, runs or spills. Even though General Finishes Gel Topcoat is thick, be sure to stir it well to reincorporate solids that have settled to the bottom of the can. If desired, thin the topcoat with 10-15% mineral spirits. Apply 3 thin coats of Gel Topcoat using a cloth, natural bristle brush, foam brush, staining pad or pad applicator. The larger the surface the larger the applicator needed. 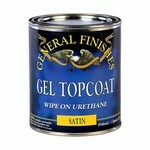 Additional coats will not improve durability. Spread with a light motion, removing a small amount of the finish. Let the applicator drag along the wood grain in smooth, even strokes. Wipe off excess topcoat. To accelerate drying in humid conditions, work in a space with good ventilation and air movement. If you decide to re-coat before the recommended time, test dryness. Remove dust with a vacuum, tack cloth or clean water dampened rag before re-coating. Oil-based finishes cure and harden for full use after 30 days in ideal conditions. Avoid placing heavy objects on surfaces that have not completely cured. Treat gently, and do not clean with commercial products during the curing period.